WHIMPY LAWSON TEAM DRIVER/OWNER Whimpy and Emily Lawson make up the driver and co-driver part of Advantage Racing. 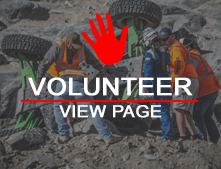 They started UTV racing midway through 2013 in the Dirt Riot series. By the 2014 series they had things pretty well figured out but couldn't quite get it all together at one time to win a championship. In 2015 they put a plan together to try to win a national championship. With a great team, a never quit attitude and a little luck, they succeeded in becoming the 2015 Dirt Riot National Champions.